Tick the iconic Colosseum off your bucket list with our Ancient Rome & Colosseum Tour. We take you inside with Skip the Line Tickets and transport you back to a time when the arena was used for violent gladiatorial games. Wander the historic remains of the Roman Forum, once the centre of Ancient Rome, as your friendly guide brings the sprawling ruins to life with entertaining stories and facts. Top it off with a visit to Palatine Hill for spectacular views of the Imperial Palace and Circus Maximus. With plenty of photo opportunities and our engaging and knowledgeable guide, our Ancient Rome & Colosseum Tour is the best way to uncover the layers of Roman history is this fascinating area of Rome. See the two highlights of a visit to Rome, including your Skip the Line tickets, with our Colosseum & Vatican Full Day Tour. We spend the morning exploring the Colosseum and the surrounding ruins of the Roman Forum. Your guide will have plenty of stories to share about the ancient Roman empire and the archaeological sites they left behind that dot the city. Ascend Palatine Hill for spectacular views of the ruins of the Imperial Palace and Circus Maximum before we break for lunch. In the afternoon hop over to the Vatican Museums to explore the immense treasure trove of art collected over centuries including the Laocoön and Raphael’s Rooms. You will be in awe of Michelangelo’s masterpiece, the frescoes of the Sistine Chapel, before making our way to St Peter’s Basilica. Discover the wonders of the city of Rome, from the iconic Colosseum to the unrivalled Trevi Fountain, with our Colosseum & Rome City Tour. We enter the Colosseum with Skip the Line tickets and discover the world of gladiators and their gory battles. Then it’s over to the Roman Forum to wander the ancient ruins of Ancient Rome’s commercial centre, walking amongst important archaeological sites including the House and Temple of the Vestals. Our exploration of the Eternal City continues after lunch with a walking tour past some of Rome’s most famous attractions, including the Spanish Steps, Trevi Fountain, Pantheon and Piazza Navona. Your guide will have plenty of engaging anecdotes to share with you along the way about Rome and its treasures of art and history. Explore the treasures of the Borghese Gallery art collection and the impressive gardens with the Borghese Gallery & Gardens Tour. Your tour guide will share with you a wealth of knowledge about the famous works, the villa and its manicured gardens, allowing you to fully appreciate the fascinating collection of art pieces housed in this stunning setting. Inside, you will find renowned works by Caravaggio, Bernini, Titian, Raphael and more. The tour includes your Skip the Line tickets, so you won’t waste any time that could be spent enjoying the art works. Dig deeper into Ancient Rome and its world renowned iconic monuments, including the Colosseum, with our Private Colosseum Tour. Your tour guide will be on hand to offer you a more personal experience as you discover the treasures of Ancient Rome and the sprawling ruins from millennia ago. Explore the fascinating ruins of the Colosseum amphitheatre and walk the Via Sacra, just as Ancient Romans did 2000 years ago. Your private guide will have plenty of stories to bring these historical sites to life. 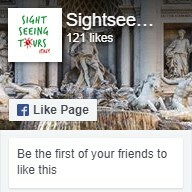 Our Private Rome Tours are designed to offer you a more personalised exploration of the city. With pickup from Rome accommodation providers, airports or ports, our local guides will take you to discover the main attractions and lesser-known treasures of the Eternal City. Travel in clean modern transport as your local guide navigates the busy Roman streets and provides a fascinating insight into the culture and history of the city. Customised itineraries are available to cater to special needs or indulge particular interests. Walk amongst one of the largest and most important collections of Western art in the world with a tour of the Vatican Museums. On display are over 20 000 works, from ancient Roman sculptures to modern pieces, commissioned and collected over centuries of papal residency. Highlights include the Renaissance masterpieces of Rafael’s Rooms and Michelangelo’s Sistine Chapel. Beyond the Vatican Museums, St Peter’s Basilica is regarded as one of the holiest shrines of the Catholic faith. While the church itself is a masterpiece of Renaissance architecture, it also houses important artworks from Michelangelo and Bramante. Our Vatican tours offer visitors an exceptional guide through the fascinating history, architecture and art of the Vatican City and its unrivalled museums. Our Pompeii Tours take you to explore the town where time was tragically halted by the eruption of the Mount Vesuvius in AD 79. Pompeii was buried under metres of volcanic ash and rock, preserving the town exactly as it was thousands of years ago and offering us a unique window into ancient Roman life. Join one of our tours to travel back in time and immerse yourself in the world of Pompeii before it was covered by volcanic detritus. Our knowledgeable local guides are a wealth of information, helping you make sense of the 64 ha of sprawling ruins and painting a picture of the daily life of the town’s inhabitants. We offer day tours to Pompeii from Rome, local Pompeii tours and multi-day tours that explore the surrounding Amalfi Coast. The Amalfi Coast is post-card perfect Italy – think picturesque fishing villages set into mountains that plunge into the turquoise sea below. We have a number of tours available to explore the area, from a day tour from Rome, to private tours for travellers staying in the region. No visit to the Amalfi Coast is complete without a day out on the famous Island of Capri, and our tours from Rome, Sorrento and Capri will take you to explore this glamorous jewel in the Tyrrhenian Sea. Be sure to experience the magic of the illuminated Blue Grotto and the dizzying views from Monte Solaro. Back on the mainland, our Amalfi Coast tours explore the chic towns of Positano, Amalfi and Sorrento and journey along the spectacular coastal drive with local guides. It’s sure to be an experience you won’t forget.